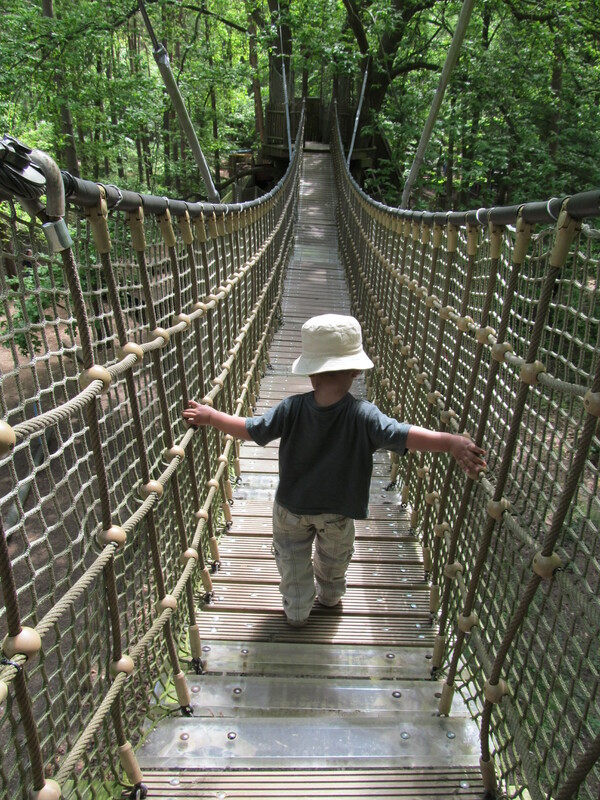 Prehistoric Play: Bewilderwood... A great back to nature day out. So this place was fab just had to give it a mention…and show off the pics! It is a forest park which is based on the books of bewilderwood. Its a harry potter style magical kingdom and I couldn’t help but fall in love with the entire concept. This place is a wooden back to basics wonderland with not a Tele in site. The entire place is built around nature with treehouses built into the trees, wooden rope bridges and den building using huge sticks. Lil dude loved it and just ran free digging in sand climbing and everything a child should be doing in life. I must mention that this post is not sponsored I just wish there were more places like this in the world! In the books you can read about the many mysterious creatures in the forest such as the crocklebog, the boggles and the twiggles (who built a lot of the attractions Around the park you take a real boat past the crocklebog (a crocodile type creature called Mildred) and pass the boggles village into the main forest where you see evidence of various dwellings in the treetops some of which you can explore. We have since brought the book and used it as inspiration for making a twiggles house in our garden (another post) and lil dude loves reading about it and keeps jabbering on about the crocklebog and twiggles. I know days like this will form lifetime memories for my lil dude, memories I hope one day he’ll thank us for.